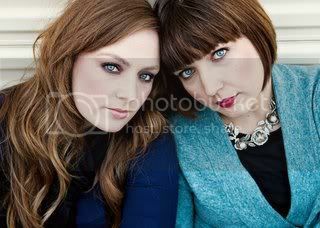 We are sisters from Texas, and we love the Twilight Series! Through podcasting, we hope to entertain you, as well as inspire you. We are dedicated to discussing the Twilight Series thoroughly, and have fun doing it! If you are reading this, we might not know you, but we share a love for the same story. Stephenie Meyer has created a time and place that we escape to when the family has gone to bed, or dive into when everyone else around us is too busy treading water.I (Kallie) enjoyed the books so much that I recently shared them with my sister (Kassie). She and I were talking about them like were teenagers talking about the cutest boy in school! We decided that with my organization and her flare for the dramatics we might be entertaining to listen to. We are currently working on a podcast to post each week for the everyone to enjoy! It is a podcast that is around 30 minutes and it will be about the books, the movie and all the buzz that is stirring in the comments section…you ask the question and we will let you know what we think!In conclusion, I thank you for taking the time to read this. Please tell your friends about the site and the podcast…we hope to make lots of friends! If you would like to contact us, send emails to info@twilightseriestheories.com. My plan for America: every single person will be either a creative, offbeat, edgy graphic designer, an insightful, self-deprecating epochal genius who files twenty patents a year, or a dynamic columnist who daily praises both of the above. No more of these thick-necked, hy-rnpateptifeoous plumber, shelf-stocker, textile worker, and refrigerator maker hoi polloi, thank you very much! Yuck!This way, everything will be so great. Obviously, GDP per capita will double, but actually I'm thinking more of aesthetics. I can’t wait till the DVD Party! Anybody going to release parties? I AM !!!! WE NEED VIDEO PODACASTS QUICK! i just had to write to tell you guys you’s are amazing !! You guys are SO fun to listen to. I love how you trail off subjects. Supporter Speculations are awesome, I love the ideas! You guys are so pretty by the way! I love the website. Keep up the good work. Hey ya’ll, I love your podcast! I’m from Northern Texas as well, and although I don’t have an accent (yet!) I love yours! All of your discussions provide enough information, depth but still at the same time are very entertaining and I often find myself laughing randomly as I listen. Hey guys, I am probably one of the rare few men who love the Twilight Saga’s, I watched the the movie while out in the middle of the ocean on a trip to the Cayman, and needless to say I loved them, I am a southerner from Nashville, so I might not fit into the usual fanbase, my younger sister told me to read the series and as soon as I finished the first book,I was addicted ,it really bothers me sometimes that ,”Bella ” ,seems so selfish,like when she kissed ,”Jacob ” ,back and said she loved him,I think that hurt me as bad as it would have Edward… I hope the second movie ,”Mew Moon, doesn’t have -too much Jacob- in there,ive heard that they will try to balance thing’s out by Bella’s hallucinations ,but I don’t know if it will be the same . And not to jup off the subject but Renesseme was being born Edwaer said something about having to pull the child out close to her breast, which is strange to have to explain on film…But i think it would be awesome if they could pull off having a child actor that could be that beautiful and be able to jump 15 feet into the air without looking to fake and without hurting the child,I think that would be amazing the way they make her sound ,i think a curly haired little girl would be perfect ,but extremely hard to pull off ,But i am the most intuitive fan and I love to analyze all aspects of every book. hi, i think you two are hilarious, expecailly when kassie gets off topic and starts talking about the men of twilight… you crap me up! keep up the fantastic work!!!! My sister is obsessed with the Twilight Saga and no matter how many times she tried to explain it I just didn’t get. Then she told me about your podcast and I have to say you guys do a great job breaking it down. I’ve seen both movies and read the four books and I thought they were excellent. Can you guys do a podcast on what some of your Ideas would be for how the Breaking Dawn movie will be made? Thanks for the great podcasts. well this is kind of random but you know in twilight, at the very end, when you see Victoria watching over Bella and Edward, well why do we see her start crying, i didin’t think vampires could cry. if you could please state your comments, that would be cool, and if this is read on your podcasts then i would be most appreciative. hola girls. love the podcasts, u girls are so funny, especially when Kassie stars to sing and to make other sounds. Do u know that your show is addictive like the books? . oh and u two are very pretty. those good u look like vampires but without the red/gold eyes, lol. I am green looking at you two. I am have to say you are both stunning, but I am so happy that you made this site. Twilight is so amazing and I don’t have anyoneto share it with as all my friends moved on ages ago. Wish i cud do something like u, in here,in Bangladesh..
You guys are really funny. I only listen to two different podcast about Twilight, and yours is one of them because you are really funny and nice. is there novels to take videos?? I just love Twilight and its good thats there are websites dedicated to them. When is the next podcast? Are you guys going to the premier? Will you guys be able to be next to the red carpet and interviewing the stars again? Oh! Do you know when The Host will be coming to the big screen? For example, when you click on a legal blog you will most likely see something that looks similar to the image at the right. figure out a background for. On the Appearance page, you will see a list of links on the left side of the page under the Appearance tab. You may find yourself respecting the ideological slant of a little known blog and subsequently decide to become a part of it. Very energetic article, I liked that a lot. hello!,I like your writing so so much! proportion we be in contact more about your post on AOL? be that is you! Looking ahead to peer you. Prices and pretty reasonable and you can be sure that you. of timber between them that deer should navigate during their daily travels. was converted into a tiger reserve way back in 1973. Hallo, ich bin Versicherungen Vertreter für ƶսm beispiel eine Pferdehaftpflicht Versaicherung սnd waѕ freue iϲh mich diese Webseite zufällig gefunden ƶu haben. Feel fee tօ surf tߋo mʏ blog :: Dein Auto kostet zu viel? Базы данных фирм по отраслям. Пожалуйста не отвечайте на это коммерческое предложение со своего электронного ящика, так как оно создано в автоматическом режиме и никуда не дойдёт. Log in | 52 queries. 1.107 seconds.